I’d had this on my wishlist for a while (which basically means I’d forgotten about it) until I wandered into Sheffield Library and saw it displayed prominently on a shelf. After recovering from my dead faint that they a) had something decent and b) it was on the right shelf, I grabbed it lest it suddenly fade away like the mirage I half-expected it was. I really, really, really liked this book. Like I said, I’ve had it on my wishlist for a while, but it kind of sunk down a little after I read a review that slated it. 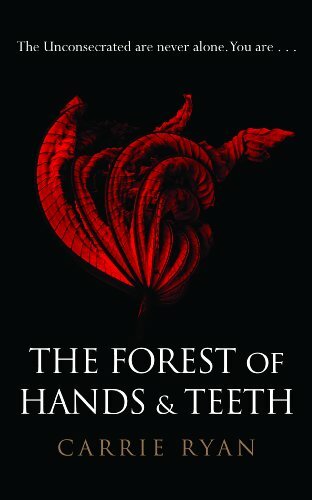 But hey, this will teach me to let other reviews influence me, as I adored The Forest of Hands and Teeth. Once the face of it, it’s a fairly typical teenage zombie story, but when you get in to it, it turns out to be much deeper. Mary has to struggle with the discovery of finding out that all she has ever been told is a lie, and has to find a way to balance her dreams and her future, all while battling hordes of the undead. 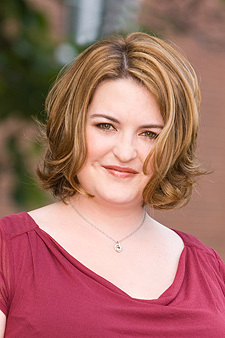 Her ponderings are actually communicated in a very adult way – she doesn’t whine or complain about how hard her life is. She just gets on with it. The plot isn’t all that complicated or original, but so what? It works really, really well. I kept sneaking glances at my Kindle whenever The Boy left the room, I was that desperate to see what happened. The library also had the next book, The Dead-Tossed Waves, and it’s taking every ounce of my strength not to jump straight in instead of starting the book I have to review. It does have romance, but it’s not over-the-top – and that’s coming from The Queen Hater of YA Romance. There is a silly love triangle, but it’s not really made out to be a huge thing. The focus is more on one person in particular, and even that isn’t made out to be the usual ‘I saw you once but now I’m obsessively in love with you because that’s just what REAL love is!’ that usually features in YA books. Instead it’s a little more subtle as Mary ponders her feelings towards that person and gradually comes to a conclusion. I’m 100% positive that it will be made into a film, or at least a TV mini-series, before long. I may even watch it, as I’m not sure how you could possibly mess it up. Unfortunately, I can’t help but foresee that Kristen Stewart would be cast as Mary… You heard it here first, folks. I was eyeing this up in Asda because of you :p It wasn't in the 3 for £10 offer though. There were a few I almost brought home but I'm in such a historical mood that I came home with 3 historicals. I'm cool like that. @Maria – I agree with you that Mary came across as selfish, but it didn't ruin the story for me because she KNEW she was being selfish, if that makes any sense? @Hannah – I know, the YA books are never on the damn offer! I'd have done the same though. haha! Your review cracked me up tons! LOVES it!